With extensive and easy-to-use controls, the Clean Router puts you in charge! Easily customize the Clean Router to your unique needs and taste. The Time Restriction tool makes it easy to set when internet access is allowed on your devices. Let the Clean Router help you enforce internet-free bedtimes, homework-sessions, and quiet hours. 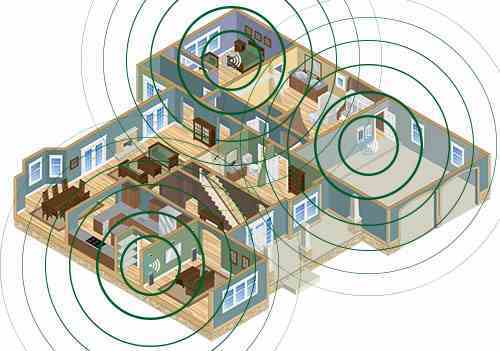 With Clean Router and 2 Mesh Nodes most homes will experience a clean and strong wireless signal throughout. No more dead zones! No more complaints about weak wireless signal. Powerful Youtube-specific features allow you to watch all of your favorite videos with peace of mind. For those who’d like an even safer experience; try the new CleanYoutube.io website! 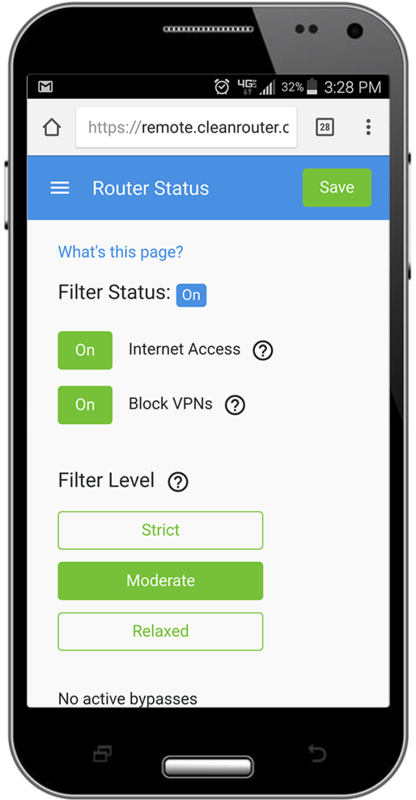 The power of the Clean Router settings page; in your pocket! This allows you to easily customize your Clean Router Remotely. Say goodbye to shoulder-surfing! With the Clean Router, there is no need to hover over each internet-user in your home. The Clean Router will automatically monitor internet usage, and send you detailed emailed reports.